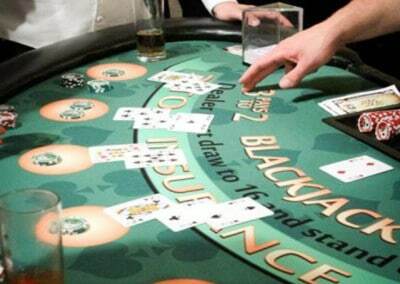 Blackjack or “21” is the most popular game in a casino. It’s the one most people know how to play, and for this reason most casino parties have more blackjack tables than any other kind of table. Our recommendation is that at least half of the tables at a successful casino party should be blackjack. The object of the game is easy: “get closer to 21 than the dealer without going over.” But beating the house takes skill, knowledge, and a little bit of luck. Our dealers are experts and can teach you how to play “by the book” so that you have the best odds of walking away a winner. Because itʼs a simple enough game to learn in a minute or two, our dealers can teach even a complete novice and have them hooked for the rest of the night. At the same time, there are enough nuances to blackjack and its strategy to keep even seasoned players coming back again and again. 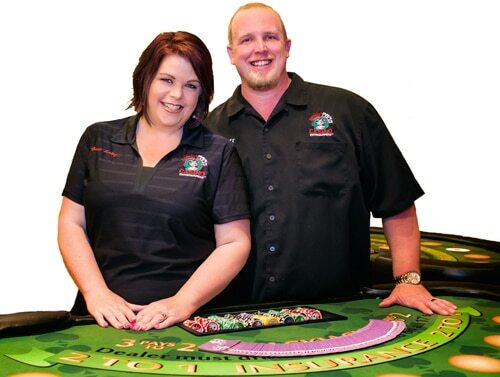 What makes our Blackjack Tables special? 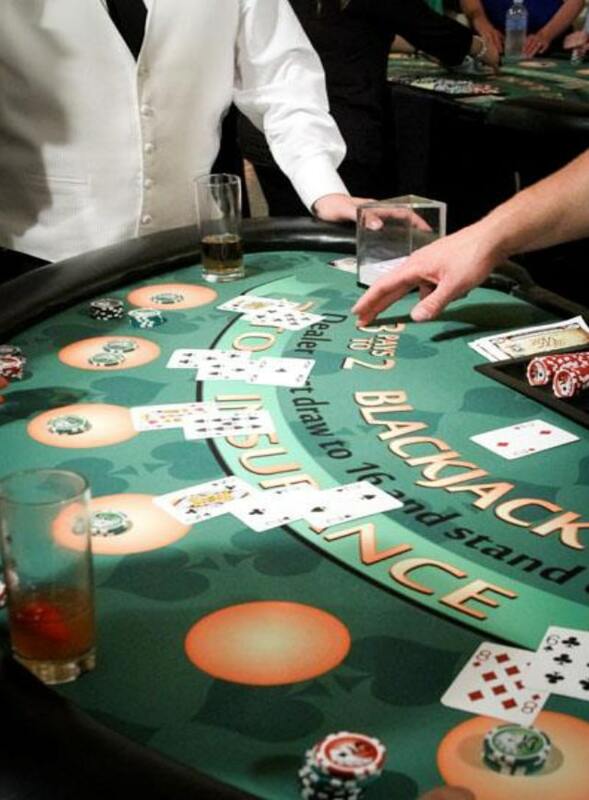 Youʼll notice that our blackjack tables have fully padded bumpers, and plenty of playing space for 7 guests at a time. We use only the best quality in our supplies, from the casino grade cards, to our 11.5 clay composite chips. Real casinos don’t use plastic, so a real casino company shouldn’t either.